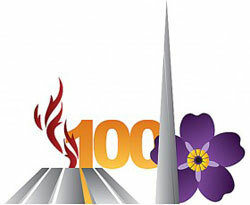 The confluence of major milestones-the centennial of the Armenian Genocide and the 70th anniversary of the liberation of Auschwitz-is the focal point of the Armenian American Medical Society's (AAMS) 30th anniversary celebration, Heroes and Healers: Stories of Courage and Altruism in Times of Genocide. The event will be held Saturday, April 11, 2015, at the Glendale Civic Auditorium, in Glendale, California at 6:30 PM. Sabrina Avakian, PhD, was born in Ethiopia to an Armenian father and an Italian mother. In honor of her Armenian heritage and its history, she has dedicated her life to promoting human rights across the globe, working with the United Nations and other organizations. Following the completion of her education in 1993, she worked with the United Nations, operating peacekeeping missions in numerous war-torn countries. Currently she is an Expert at the Juvenile Justice Court and Family mediator and is a representative at the European Association of Judges for Mediation (GEMME), strengthening mediation procedures in Europe. 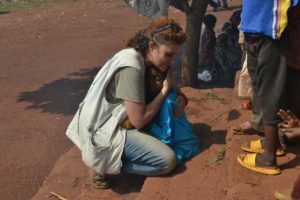 As an emergency expert for human rights, she travels across Africa for the United Nations. Presently her focus is on the Central African Republic and the terrible events in occurrence there even in modern time. Avakian travels worldwide as a consultant for children and youth projects. She also is a filmmaker, producing documentaries on subjects as diverse as the Armenian Genocide, the plight of homosexuals in Africa, and struggles in Ethiopia. Ara Jeretzian was born to Armenian parents and raised in Hungary. In 1944, Jeretzian was appointed commander of civilian defense in Budapest’s sixth quarter. 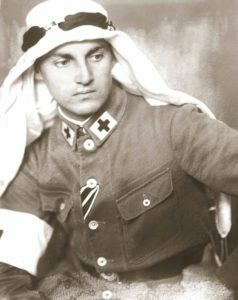 During the rule of the Arrow Cross, he used his position to save as many Jews as possible. He organized a clinic-turned hospital, caring for injured civilians and soldiers, who were treated free of charge. Forty Jewish doctors, holding forged documents supplied by Jeretzian, were employed at the clinic and lived there with their families. Because of the meticulous documentation of every patient’s treatment and discharge, the Arrow Cross left the clinic alone. Despite rumors Jeretzian was hiding Jews, it was decided that such a “patriotic” institution dedicated to treating Hungarian soldiers and civilians was above suspicion. Jeretzian protected the lives of 400 Jews until the liberation. After the war, his survivors unsuccessfully urged the Hungarian regime to award Jeretzian official recognition for his bravery and heroism. Harutyun Khachatryan, MD, was a military doctor with the Soviet Red Army during World War II. 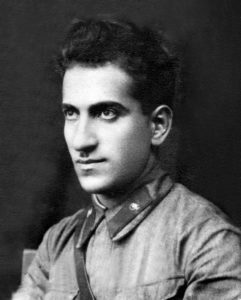 Dr. Khachatryan was captured by the Nazis and held in a prison camp near the city of Velikie Luki, where he served as a camp physician. During his captivity, he provided life-saving medical care to Jewish prisoner of war, Josef Kogan. Dr. Khachatryan treated the wounds Kogan initially sustained during his capture and again came to Kogan’s aid when he was felled by spotted typhus. In spite of a quarantine and an order not to communicate with dying patients, Dr. Khachatryan brought him food and medication. Dr. Khachatryan’s heroism did not end with medical care. 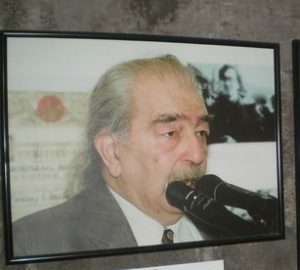 To protect Kogan, Dr. Khachatryan helped him create an Armenian identity–Michael Markosyan–and arranged for him to stay with Armenian prisoners. He later aided Kogan in his escape after Kogan’s true identity was revealed. Floyd O. Smith, MD, was an American physician serving in the Ottoman Empire from 1913 to 1917. Dr. Smith was a caretaker of many Armenians who were victims of the Genocide and wrote extensively about the treatment of his patients. While serving in Diyarbakir, Dr. Smith witnessed the persecution of the Armenians and the deplorable conditions in the city. He was warned by the government not to treat victims of these atrocities, but refused to leave his post as a doctor because his patients needed him. For many of the city’s Armenians, Dr. Smith was the only one who could help them and he did whatever was humanly possible to provide help and comfort to the sick and the dying–medicine, food, money and prayers. Dr. Smith was eventually expelled from the city and briefly imprisoned in Aleppo. 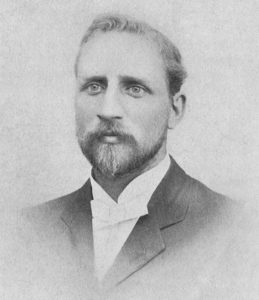 Clarence Douglas Ussher, MD, an American physician and missionary, served throughout Turkey from 1898 through 1914 as part of American Board of Commissioners for Foreign Missions. During this time he reported on the conditions of the Armenians under Turkish rule and provided extensive descriptions of outbreaks of diseases like malaria, typhus, and cholera. He also risked his own life to treat Armenians who suffered at the hands of the Turkish government. While serving in Van, Dr. Ussher laid witness to the Siege of Van. In 1917, Dr. Ussher published a detailed first-person account of the events of Van in his memoir, An American Physician in Turkey: A Narrative of Adventures in Peace and War. This important work was later incorporated into Atom Egoyan’s film, Ararat. Armin T. Wegner was a German soldier and medic during World War I, where he was stationed in the Ottoman Empire. 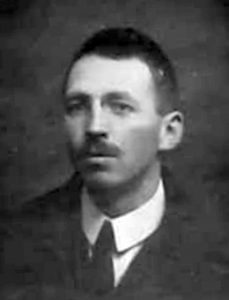 In April 1915, following the military alliance of Germany and Turkey, he was sent to the Middle East as a member of the German Sanitary Corps. 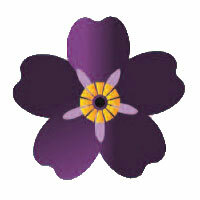 He used his leave to investigate the rumors about the Armenian massacres that reached him from several sources. Disobeying orders intended to stifle news of the massacres, he gathered information on the Genocide - collected notes, annotations, documents, letters and took hundreds of photographs in the Armenian deportation camps in Der Zor - visible proof of the first systematic genocide of the twentieth century. At the request of the Turkish Command, Wegner was eventually arrested by the Germans and in December of the same year he was recalled to Germany. Hidden in his belt were his photographic emulsions with images of the Armenian Genocide . In an open letter, which was submitted to American President Woodrow Wilson at the peace conference of 1919, Wegner protested against atrocities perpetrated by the Turkish army against the Armenian people, and appealed for the creation of an independent Armenian state. The tragedy of the Armenian people to which he had been eyewitness in Ottoman Turkey haunted him for the rest of his life. "As doctors, we take an oath to treat all who need care, regardless of who they are, and to put the needs of our patients ahead of our own," said Raffi Tachdjian, MD, MPH, AAMS board member and event co-planner. "These men not only lived by this oath but took it to a whole other level, going above and beyond and at great peril to their own lives. Their stories are compelling, reminding us of our responsibility to help others and inspiring us to make a difference in the world." "We think it particularly fitting to honor these individuals on our 30th anniversary, as we commemorate the Armenian Genocide" said Serineh Melidonian, MD, AAMS president. "They represent the very best of humanity during its darkest hours and serve as a stirring reminder that the heinous act of genocide can never be ignored or tolerated, no matter the people. Their humanity is an important lesson we will carry with us through our work as doctors and through our outreach with the AAMS." The Near East Foundation (NEF) was established in 1915 as an urgent response to the Armenian genocide, saving the lives of over one million Armenian, Assyrian, and Greek refugees. The organization is considered a pioneer in international humanitarian assistance-a tradition that continues today, as the NEF continues to help improve the livelihoods of the most vulnerable people in the region. Many of the missionaries who helped save the Armenians during the war and helped them get back on their feet following the war were aided by the NEF. The event is being co-supported by the USC Shoah Foundation Institute for Visual History and the Near East Foundation. The USC Shoah Foundation, founded by filmmaker Steven Spielberg, aspires to be the world's academic authority on the study of genocide and personal testimony. 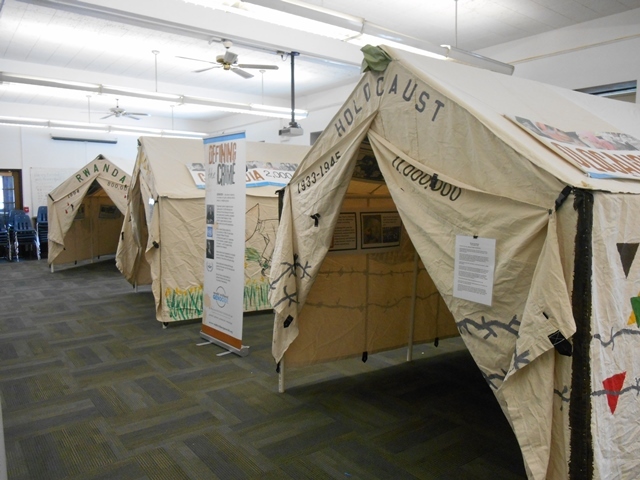 The Institute has collected more than 53,000 recorded testimonies of the survivors and witnesses of the Holocaust and other genocides, preserving their voices to inspire action against intolerance. The Institute is currently indexing nearly 400 testimonies from the Armenian Genocide, which will be integrated into the Visual History Archive in honor of the Genocide's centennial. The Shoah Foundation has graciously provided video archives of survivors discussing the heroic actions our honorees, which will be played during the evening's presentation. The evening's celebration will engage the audience with a dynamic presentation that will include the surviving family members of the honorees. The story of each honoree will be brought to life through a multimedia presentation incorporating video, photos and interviews. Surviving family members of the honorees will be on hand to accept the awards on their behalf, each offering their unique perspective about their relatives' experiences. The event will also feature a musical performance by Dr. Khachatryan's granddaughter, famed singer Anna Khachatryan, as well as other surprise performances. Following the program, attendees will have the opportunity to meet and speak with family members of the honorees during a cocktail reception. "The program promises to be very meaningful and very moving," according to Evelyn Baghdasraian Barkhoudarian, MD, event co-planner. "We are excited and privileged to have the ancestors of these great humanitarians on hand as we celebrate their heroic feats and indomitable spirit. The AAMS is looking forward to a very memorable evening of Heroes and Healers: Stories of Courage and Altruism in Times of Genocide." Born in Los Angeles, Fr. Vazken Movsesian is a rarity, as an individual raised and educated in the West who entered into the ranks of the clergy in the Armenian Apostolic Orthodox Church. The grandchild of Armenian Genocide survivors, he has served communities throughout California largely populated by recent immigrants displaced due to wars, political upheavals and even genocide. In 2003, he founded the “In His Shoes” mission, which challenges victims of evil to move forward by extending assistance to others. The organization has brought relief in the form of food and shelter to thousands throughout the world by implementing the Christian principles of love and forgiveness. He travelled to Rwanda with a group of educators from USC in 2006, a decade after the Genocide there, and brought back messages of hope and love. Currently, Fr. 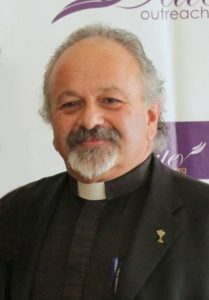 Vazken serves as the Parish Priest of the St. Peter Armenian Church in Glendale, California. Through regular weekly broadcasts he preaches and teaches a global audience on Epostle.net.